Dreaming of a fairytale, Disney-inspired affair? Tulle is all you need to make it happen. 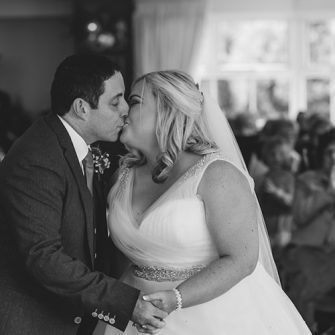 We can’t blame him- tulle does look a bit cloud-like- and we adore the dreamy fabric so much so that we think it needs to go beyond the dress and instead become a wedding theme in its own right! 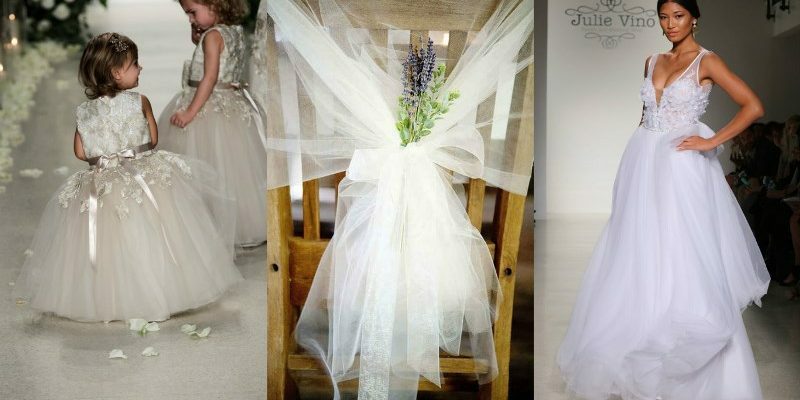 If you, like this little boy, fancy a bit of cloud-inspired tulle to adorn your wedding day then read on. We suppose a summary of a tulle-themed wedding can’t begin without one of the most obvious places tulle comes into play… the wedding dress. 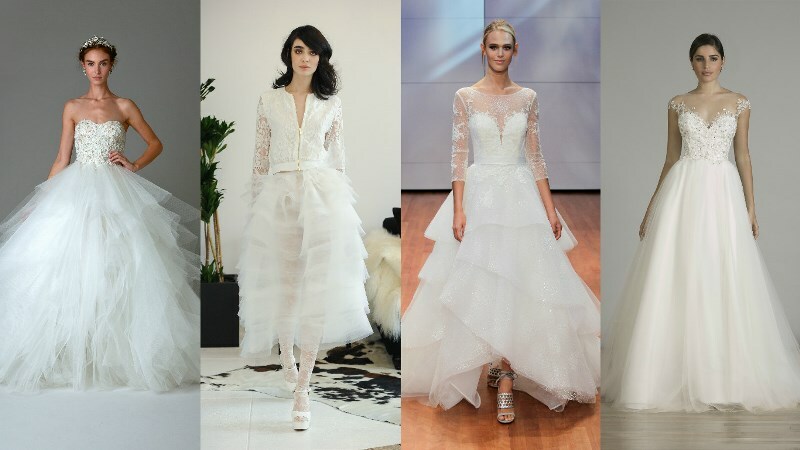 Fall 2016 wedding dresses seem to all be falling into two distinct camps- the sheer and the tulle! Great news for the innovative bride with a flair for a stand-out dress. Tulle gowns usually are found in the princess style and feature a big, flouncy skirt. 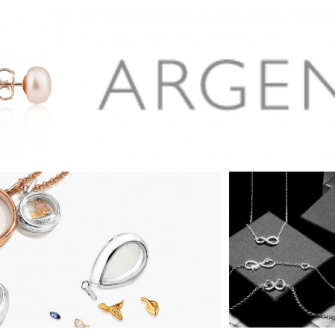 They can be layered or fall flat, but no matter what shape or style they are you know they won’t be missed! 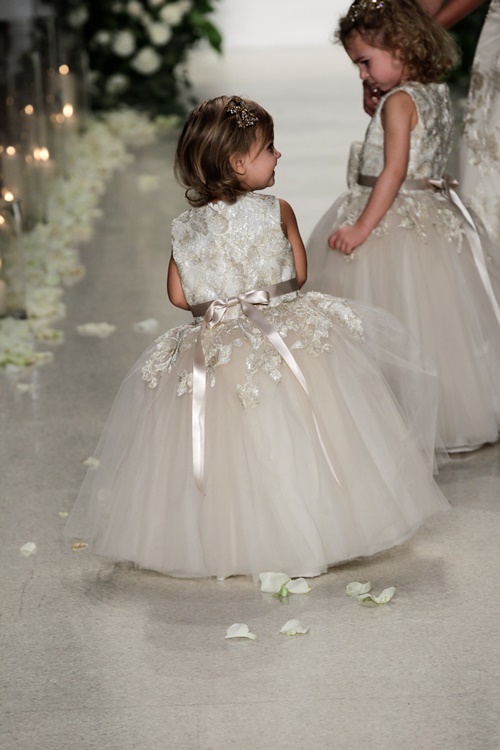 There’s nothing cuter than a flower girl or bridesmaid in a tulle skirt. 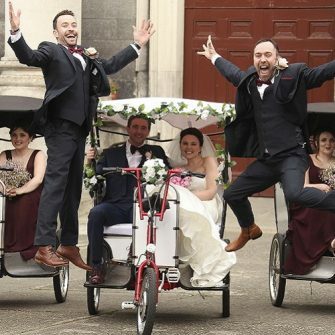 We challenge you not to go ‘awwww’ when you see them walk down the aisle in front of you! 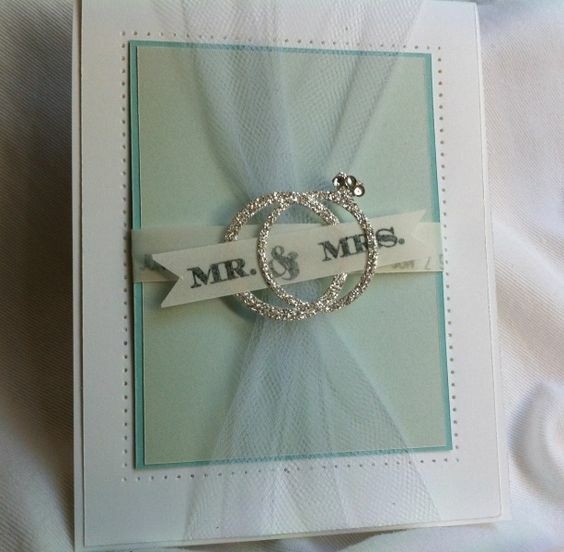 Start the theme from the word go with adding a touch of tulle to your wedding invitations. All great wedding themes are implemented from the very beginning, so there’s no reason why this creative fabric can’t feature heavily from the offset. Be it behind the alter or behind the top table, a tulle backdrop decorated with fairylights can be a magical addition to your stylish big day decor. 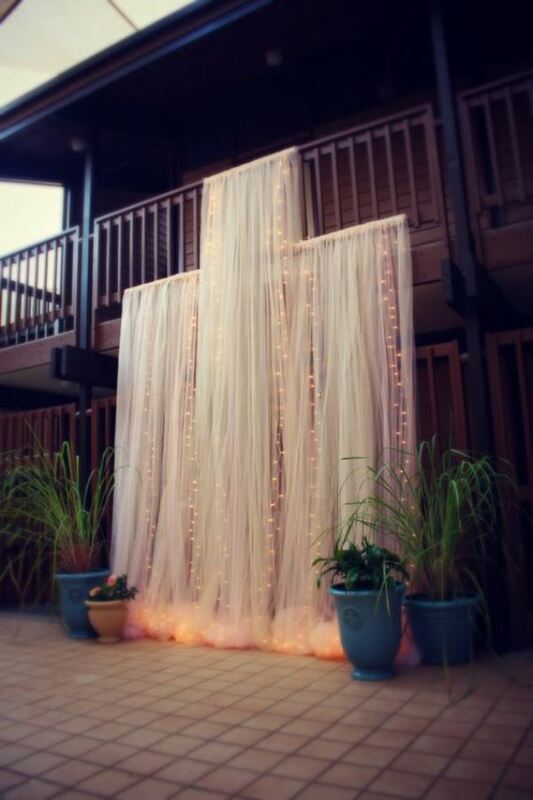 Most venue stylists offer these for hire, but if you are on a tight wedding budget check out the LILL Net Curtains from IKEA. Multiple packs of these light and airy curtains can create a similar effect at a fraction of the cost. Chair covers are dated, but standard function-suite chairs might not be a match for your colour scheme. Our solution? Tulle. 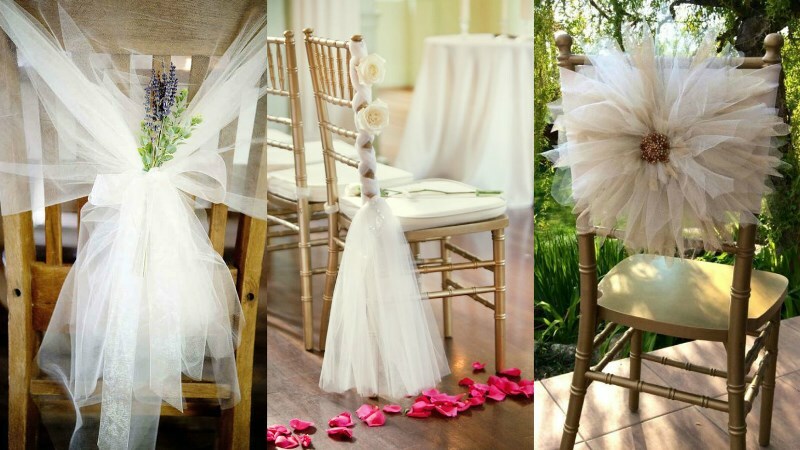 Craft a dramatic flower out of tulle and attach to the back of chairs. 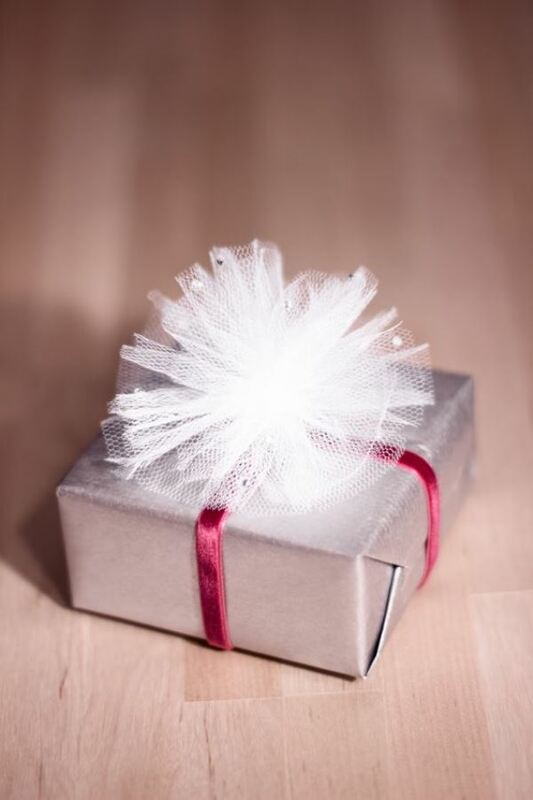 Alternatively, grab a roll of tulle and wrap delicately in a bow for a clever yet simple design. 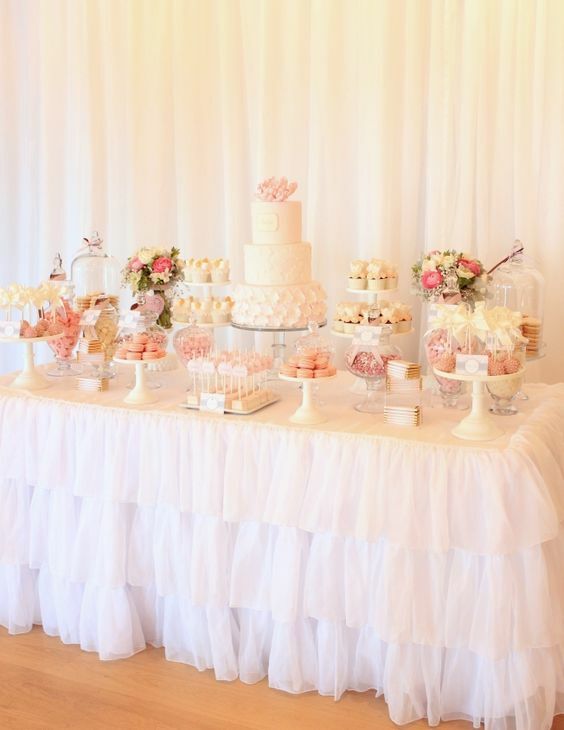 Tulle can be used either under the table as a novel skirt or on the table as a quirky cloth. However you decide to adorn your dessert table with it, it makes sweet treats all the more delectable! We know guests won’t be happy to receive a bundle of tulle as a gift, but that doesn’t mean you can’t wrap their wedding favour in it! Adorable tulle pom-poms look great on top of tiny packages and can suit your table decor perfectly with their feminine touch.